There comes a time in every unemployed person’s unemployment when things take a strange turn. For bizarre and often unknown reasons, the person always begins to create a routine that becomes more important than everything else in their life. By keeping the routine, they create a sense of normalcy when what is actually happening is far from anything normal. They need the routine. It means everything. It is everything. 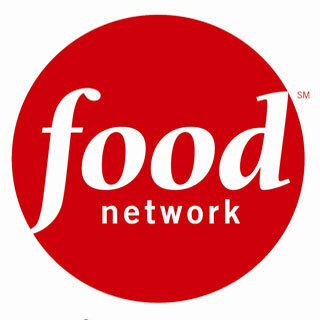 This is how I came to know the answers to all of the great questions of life by religiously watching The Food Network. While that statement might be a little hard-to-swallow, it is easier to see once you have watched it as closely as I have. There are statements throughout the various shows of the Food Network that could apply to all of the great questions of humanity. Why are we here? According to Marc Summers’ Unwrapped, there is a company that now makes organic cotton candy. This could also be read as: We are here to help create a utopia where people can strive to not only make things better but to learn from the mistakes of their past so that they can create a better future. This is why organic cotton candy not only tastes better but is also better for you rather than enlarging areas of your body that you do not want to enlarge. What are the most important things in life? According to Sunny Anderson’s Cooking For Real, it is fun, time and flavor which could also mean: It is important to enjoy life and experience all the ups and downs of life before our time is up. Who knew that food could be existential? Whether I’m watching Guy Fieri eat cheeseburgers the size of his head or Alton Brown explain the science of the steel in common cutlery, there are always lessons to be learned. Duff Goldman has taught me that anything is possible, specifically in regards to making amazing cakes but also to other once-thought impossible challenges. Will America ease tensions with North Korea? All Kim Jong-Il needs is a large cake from America based on some aspect of his life portrayed through cute fondant caricatures. It could show him ordering people around, acting totally insane, etc. He’d love it. Will humans ever have world peace? Yes, provided that there is a cake as big as the moon that incorporates a fountain, staircase or some kind of moving element, preferably a spinning penguin. Will humanity ever repair the tear in the Earth’s atmosphere? Yes, provided that there is a crap load of fondant. Though I’ve spent every single night for the past few months watching various Food Network shows, it never makes me any better at cooking. As the wonderful cooks and chefs offer loads of tips and tricks in the kitchen, I always think to myself, “Huh, I need to try that” before getting up and going to Wendy’s to order a spicy chicken sandwich. I can’t even begin to count how many times I’ve watched informative shows on how to cook healthy meals while surrounded by leftover bags and large, empty cups from a plethora of fast food restaurants. They’re like empty but all-too-present vessels of failure. So, what does this tell us? Cooking food can offer the secrets of the universe as long as those secrets don’t have to do with actual food. Sure, they offer useful information but unless you are sitting with a pen and pad, furiously scribbling down extensive instructions, or if you happen to have a memory like Dustin Hoffman in Rain Man, there is no way that you will remember it all. Instead, you get different pieces to hundreds of different puzzles that you will never be able to put all together. I’ve learned how to put a rub on ribs, but know nothing about what to do after that. I’ve learned how to sear a steak, but do not know how to add flavor. And while this is unfortunate that I could learn everything but still know nothing in regards to food, I’m much more interested in learning about the universe. Or maybe I just want someone else to cook. Whatever the reason, the next time you are wondering about the world around you, don’t pick up Kierkegaard or Socrates, Nietzsche, or Kant. Turn on your television to the Food Network where the real philosophers reside whether it’s Paula Deen, Bobby Flay or the earthly angel, Giada de Laurentiis. I might be crazy to think all of this nonsense about food and existence but…..another episode of Iron Chef America is coming on and I’ve been desperately wanting to know when human beings will be able to fly. And if Masaharu Morimoto has anything to say, it’s probably soon.